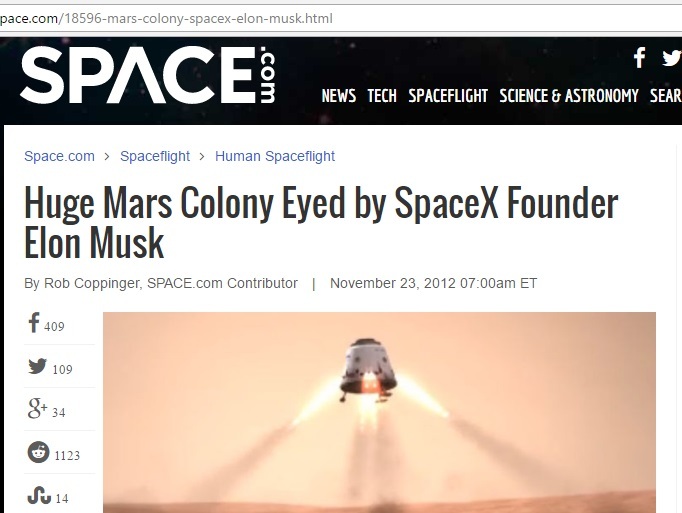 For many years I have written for SPACE.com, the world’s biggest space news website, about a wide variety of topics. Follow this link to read my exclusive about SpaceX founder Elon Musk’s plans for a Martian colony. This story was widely syndicated by SPACE.com’s partner media outlets, including Scientific American.